Include the Following Within 75 miles of our Funeral Home, includes 2 hours visitation and set-up at your Church or other facility arranged by your family for a total of 3 hours including the service. Professional services include Services of funeral director and staff, standard embalming, simple cosmetology, dressing and casketing and beautician (for women). An extra charge may be added following an autopsy. Transportation charges include: removal at time of death, use of funeral coach (hearse) to the cemetery, completed register book, memorial folders with picture of your loved one, a tribute video with up to 100 pictures, laminated bookmarks with prayer of choice for immediate family and 50 printed acknowledgement cards. Package includes: Social Security Notification; filing of death certificate (one copy to the family) and standard obituary releases, completed obituary with picture of your loved one posted on our website. 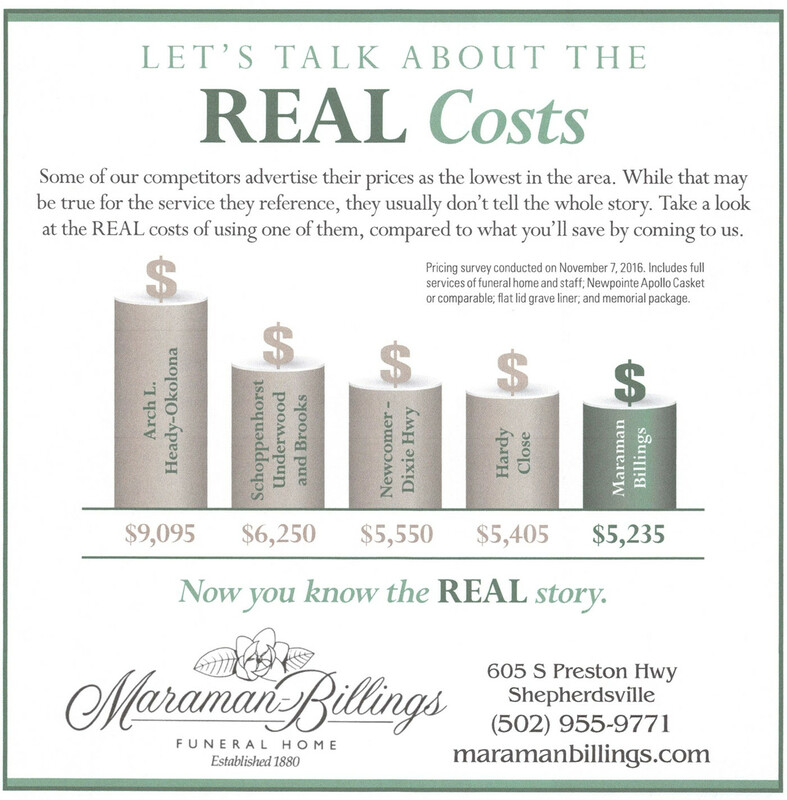 Maraman-Billings Funeral Home is proud to offer our families the finest in cremation and burial products. We invite you to review our selection prior to meeting with a member of our staff for the arrangement conference.